Posted on Tuesday, April 2nd, 2019 at 9:11 pm. Spin as a push and pull resistance workout? Get outta here. You may think of Indoor Cycling as the ultimate cardio workout, but when done right, Spin is amazing for lower-body strength training, too. This all-in-one workout will absolutely sculpt your legs without unwanted bulking, and it’ll do it with one of the most efficient training techniques out there: Push and Pull. Best news—with the right push and pull technique, Spinning can help you build muscle without adding unnecessary stress on your joints. Cheers to that, low impact-lovers! 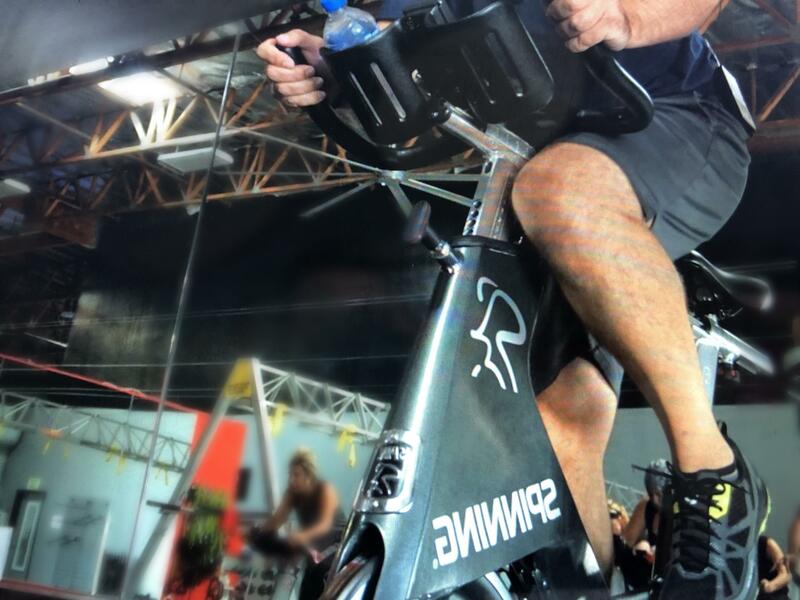 And while an instructor may call it something else, the push/pull technique has always been a crucial step for powering a smooth, circular pedal stroke on an Indoor Cycling bike. Curious? We’re going to prove that Spin is one of the best push and pull workouts. Let’s get started. What Is a Push and Pull Workout? Essentially, it’s a form of strength training that groups muscles into pulling (biceps, hamstrings, obliques, trapezoids and back), and pushing (chest, shoulders, quads and triceps). People like this lifting routine because it allows them to get a balanced workout that targets the entire body, rather than focusing on one muscle group at a time. That means muscle growth with a lower risk of injury, overtraining, and imbalances between opposing muscle groups. And because push-pull workouts are much less time consuming, they’re the ideal compound exercises for the person with the busy schedule. So, How Is Spin a Push and Pull Workout? Guess what? Spin targets your legs’ push and pull muscles, too. I love one of Studio SWEAT onDemand’s most popular cycling instructor’s saying, “Ya gotta push. Ya gotta pull.” She says this in every class she instructs. 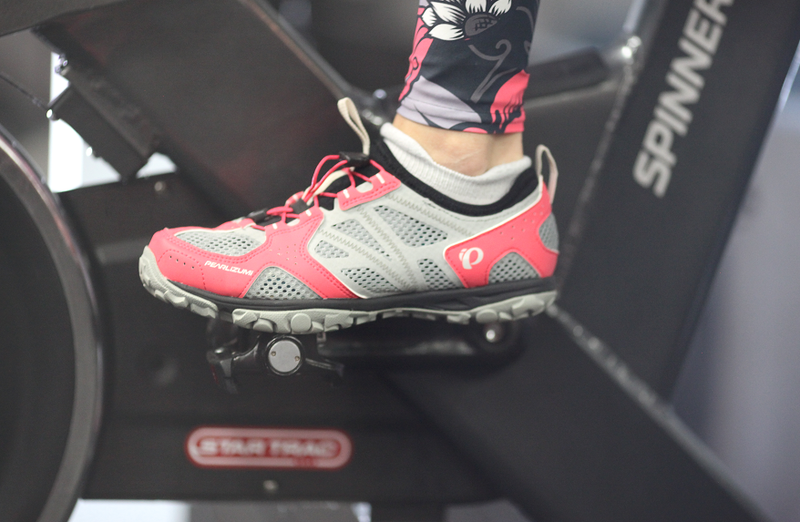 One of the most common mistakes people make in a Spin class is pushing down their legs without pulling up. Most beginners lose out on a lot of power by only driving their feet down. We call this being “quad-dominant”. But, this is why cycling shoes are stiff and attach directly to pedals; you need to actively push and pull to get the most efficient, powerful strokes. And, if you begin to focus on using those pull muscles in the back of the leg all the way up to your glutes, you’re going to start to see some beautiful definition in the entire leg, back to front, top to bottom. That means that you can’t just think about a stroke as purely motion—it’s also about isolating those muscle groups and using them to power your cycling. It’s not an up-down movement, it’s a smooth circular flow. So, What Is the Proper Push/Pull Technique? Let’s go over muscle activation when riding an indoor cycling bike. First, imagine your right leg at the very top of a pedal stroke, at the 12 o’clock position. You get the most strength training and the best lower-body workout with a hill climb. Unfortunately, that’s exactly when most people tend to lose their form and ruin what could have been an efficient training session. So, when you stand up, don’t lean forward too far. Keep your weight over the saddle and pedal. Plus, keep your elbows by your side to ensure you’re putting weight on the correct parts of your upper body. You should also think about engaging your core throughout that circular motion. Tightening your abs (which does not mean holding your breath) will also keep your body from shifting side to side too much during difficult hill climbs. And if you’re having difficulty isolating those leg muscles, try some drills that’ll help you solidify your coordination and body awareness. Now that we’ve got that out of the way, why don’t you give your new and improved push/pull technique a try with a sampling of some awesome, hill-climbing workouts. They’re perfect 1-2 days per week if you’re riding on your own and not taking a class with climbs on the regular. In the end, approaching your Spinning routine as a push and pull workout is all about mindfulness. You want to zone in and really pay attention to how your legs are using force. And when you’ve got that down and it’s second nature, then you’ve got yourself an amazing cardio/resistance workout. Win-Win. Got it? This guide is super handy, but it’s nothing compared to a live Spin class and a trained instructor. Lucky for you, you can access hundreds of amazing classes on indoor cycling, TRX, Bootcamp, Yoga, and more for FREE with our 7-Day Free Trial. You can learn the proper Spinning techniques, get the best push and pull workouts of your life, and the motivation to get sweatin’. All you gotta do is sign up. What are you waiting for?